All work and no play make Jim a dull boy. Quite a debatable topic, isn’t it? Well I actually believe in this phrase completely. It’s a common human behavior to get restless and bored if they keep doing the same thing day to day and everyday in their life. And thus they really need to find some free time to chillax and keep their mind fresh and away of all the burden and worries they carry on their shoulders. And in my opinion a vacation is all they need to be relaxed and calm. I was going through the same trauma since last few months. Things were getting complicated out of nothing and the devil inside me was knocking the door to be unlashed every now and then. So finally asked Mr. Hubby, “How soon can we take a vacation?” “May be in September sweetheart”, He replied. I was devastated and said him that it was a too long wait. But he convinced me saying that we were about to take this vacation after a long time and thus we need time to plan it and make it work for us perfectly. And also he said that though he has few more work at the office to windup before we could actually leave for a vacation, the whole planning thing was on my shoulders. And that was not it, he also said that the budget for this vacation should not exceed more than a lakh. So with all these butterflies just making my head go round all around I opened my laptop with a firm determination of planning and preparing an itinerary for the trip. So the very first thing I did was selected a location I wanted to visit and it appeared to me that Bangkok was calling me. Thus I started looking for flights and hotels. But nothing was there in my budget. I had to finish everything under 70K because the rest of the money was supposed to be used for my own shopping. After a long search of an hour I finally gave and was going to shut down my lappy. But on a second thought opened my face book account to have a quick gaze on my profile. 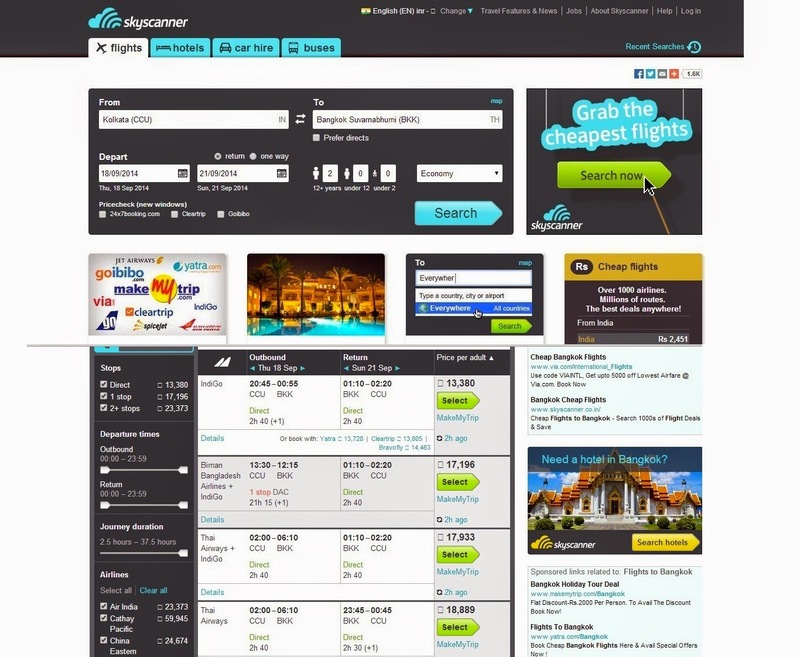 And before I was about to close the browser I saw an advertisement saying ‘searching for cheapest flight from India, we are eager to help.’ So I clicked on the advertisement and it landed me to a web site www.skyscanner.co.in . And it felt like angels were sent straight from the heaven to help me. Firstly I started looking for a cheap and best flight from Kolkata to Bangkok. And there it was. This website started working its charm on me. I found a list of flights of my desired date with various price ranges. And while I was about to select the flight I got a window asking me to create a price alert for the flight and the date I wanted to book the flight. And there it was flight and hotels done and the only thing left was a means of transportation for to and fro to the airport and for local site seeing. Although I wasn’t supposed to book a car as it wasn’t under my to do list. 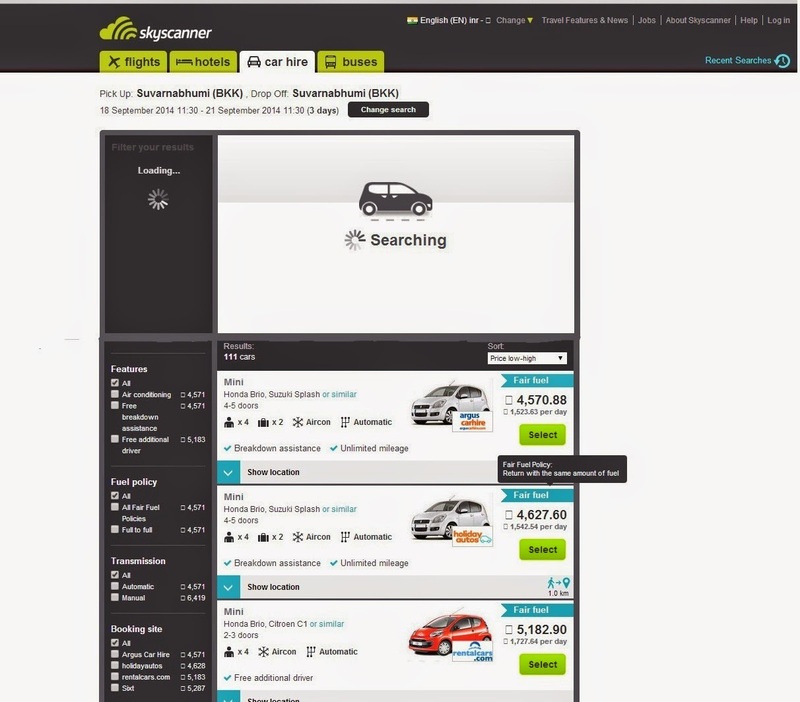 But the mouth watering deals at Skyscanner tempted me to book a car. And thus I took the liberty of booking a car too without asking my hubby. This summing up for a total of Rs.79997and saving rest of the money for my shopping. Skyscanner had a very tempting package and the rates were so attractive so I got my every corner worked out and the price was unbeatable. 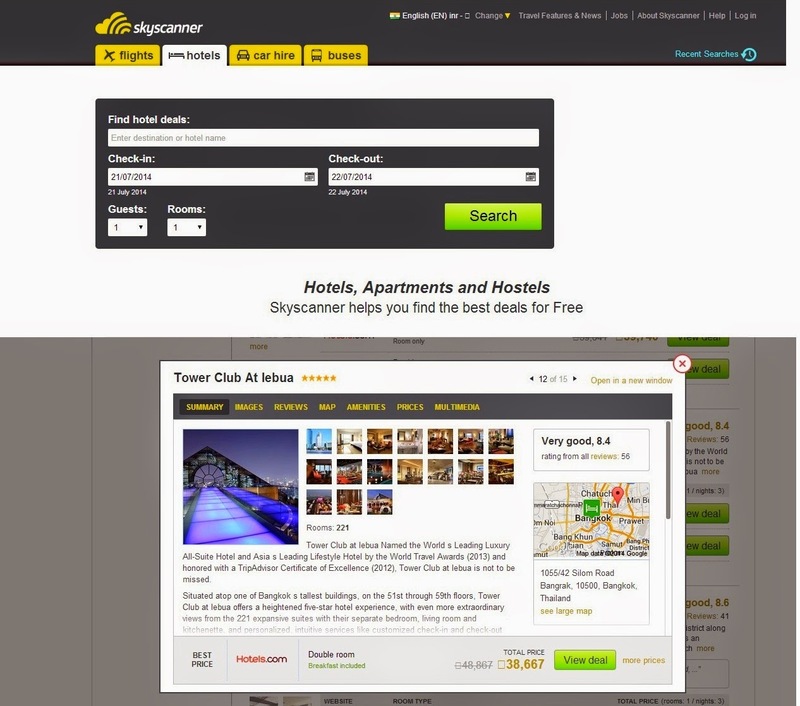 Skyscsnner worked like a companion to me and helped me trough out the whole process of booking flight, hotel and every thin I needed. Zest Experiences of my Life !! No ‘A’, No ‘B’ only ASKME…!! !